The number of piracy incidents doubled off the coast of East Africa in 2017 compared to 2016, according to the annual State of Piracy report released by One Earth Future (OEF)’s Oceans Beyond Piracy programme. 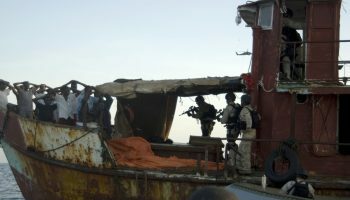 The report analyses the human and economic impacts of maritime piracy and armed robbery at sea in the Western Indian Ocean region, the Gulf of Guinea, Asia, and Latin America and the Caribbean. 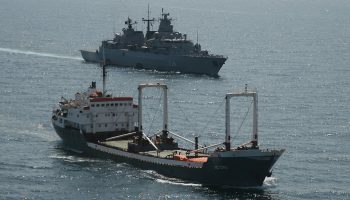 “Pirate activity in 2017 clearly demonstrates that pirate groups retain their ability to organise and implement attacks against ships transiting the region,” says Maisie Pigeon, the report’s lead author. 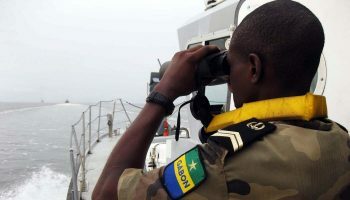 Piracy and armed robbery in the Gulf of Guinea continue at persistently high levels. In 2017, 1726 seafarers were impacted in a total of 97 incidents, despite the increased efforts of regional states and contracted maritime security providers. 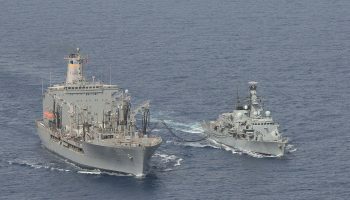 The report shows a US$13.2 million increase on spending by regional states on law enforcement and naval patrols, and that there has been a continued proliferation of contracted maritime security schemes. A South Korean vessel was even re-deployed to the Gulf of Guinea in response to the kidnapping of three South Korean fishermen in March. “Kidnap-for-ransom continues to plague the region, which is a trend that has unfortunately continued from 2016” says Pigeon. The report found that 100 crew members were taken hostage in 2016.